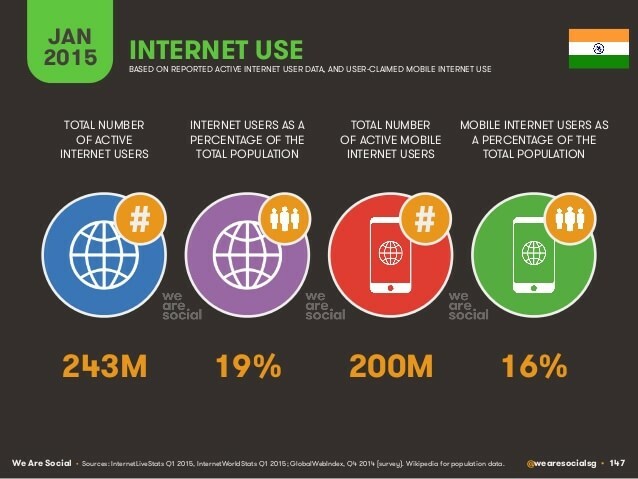 “Globally out of 3.010 billion active Internet users, 2.078 billion are active on social media with 1.685 billion active on social media via mobile,” informed We Are Social’s new Digital, Social and Mobile in 2015. “Including stats for more than 240 countries around the world, and profiling 30 of the world’s biggest economies in detail, this report is the most comprehensive, free compendium of up-to-date digital statistics and data you’ll find,” Simon Kemp, Asia Managing Partner said. The 376 pages report also highlights that active mobile social media accounts have seen the highest year on year growth with more than 23% followed by more than 21% year on year growth on active internet users. Find more data insights of the report uploaded on Slideshare. The Singapore based digital agency known for its APAC reports has once again included the digital growth in India in its extensive report like it had done in 2014. Listed below are 7 important stats about Indian digital market that every digital marketer should bookmark. 1. Out of 243 million active Internet users, 118 million are active on social media with 100 million active on social media via mobile. 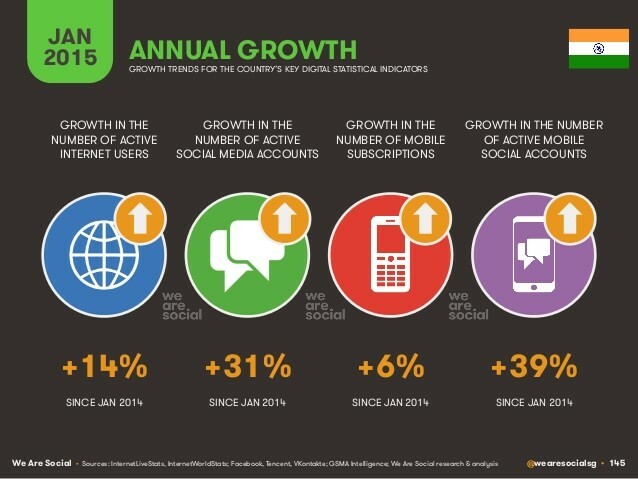 Growth in the numbers of active mobile social accounts saw a spike of +39% since January 2014. 2. 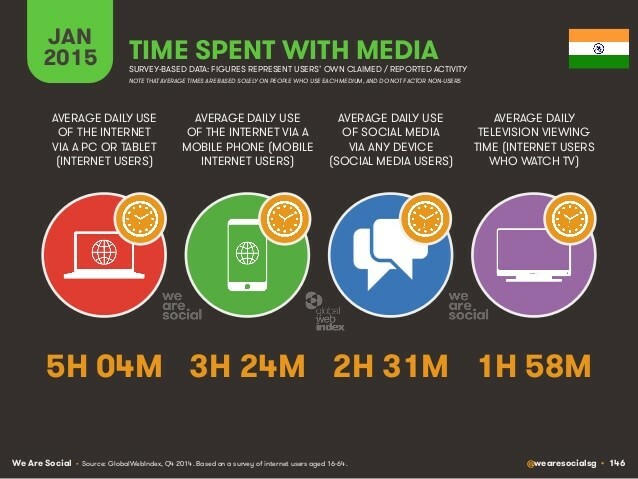 Average daily television viewing time for Internet users is close to 2 hrs but average daily use of social media via any device is 2 hours 31 minutes. 3. 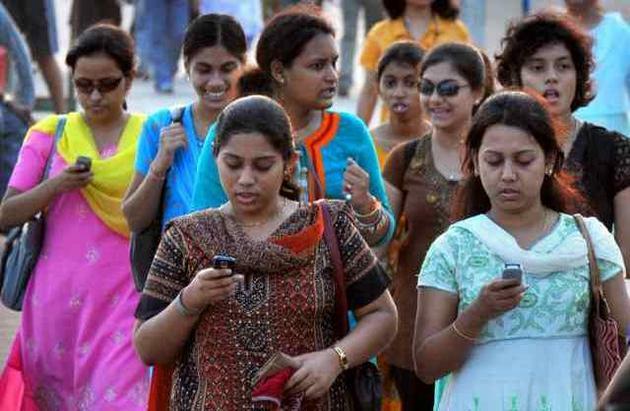 Total number of active internet users is 243 million and total number of active mobile internet users is 200 million. 4. 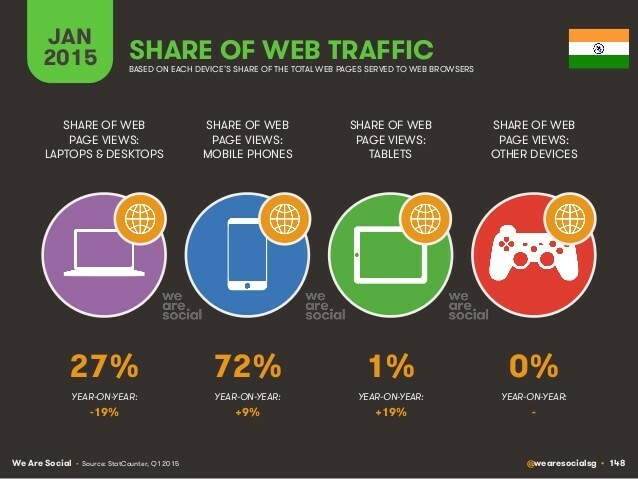 Share of web page views via laptop and desktops have a negative year on year growth, while mobile phones are witnessing a positive growth though the percentage is small. 5. 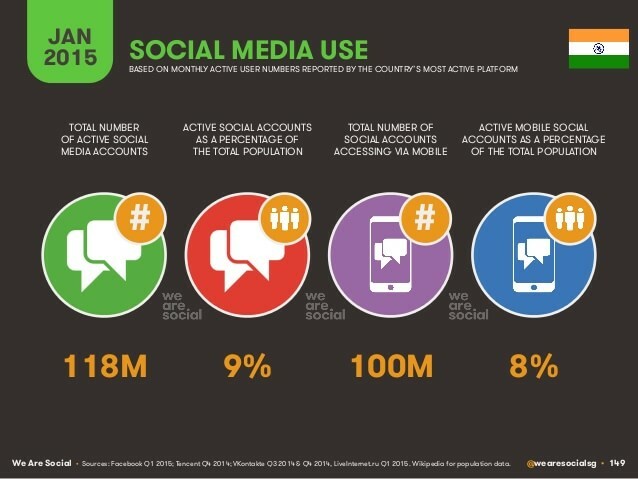 Out of 118 million social media active accounts, 100 million are accessing via mobile. 6. 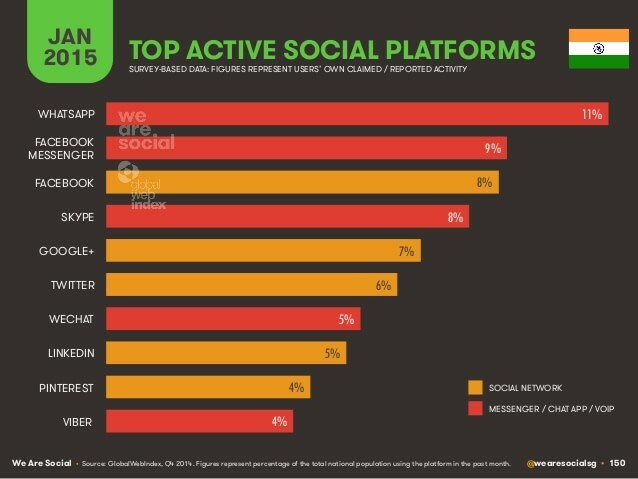 Facebook rules in India when it is about top active social media platforms. 7. 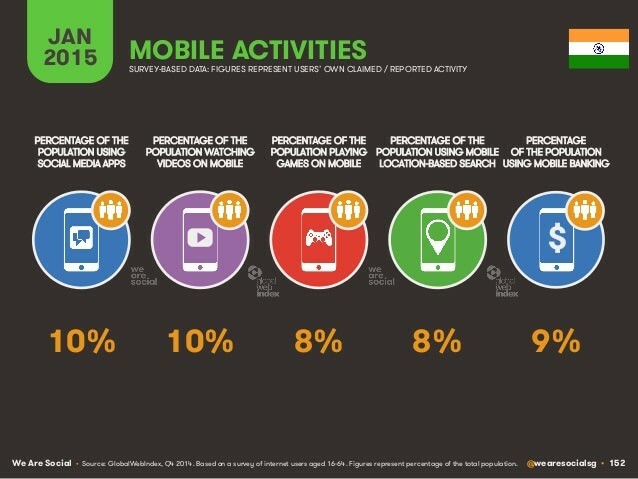 Social media activities and watching videos on mobile account 10% each when it comes to mobile activities followed by playing games on mobile. Interestingly 9% of the population use mobile banking.